Save 48% off the original price! Amazon.com has this Little Tikes Cozy Pumper for only $13.88 (regularly $25.99) shipped. Kids will love pretending to stop and fill up. Weatherproof buttons and sounds stimulate interaction. 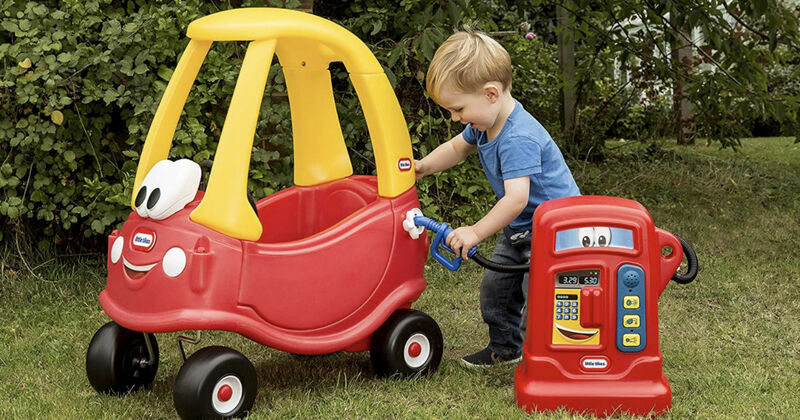 This pretend gas pump can be used indoors or out.